Network Performance | VIAVI Solutions Inc.
As enterprise network technology continues to evolve, the need for businesses to effectively manage and optimize the performance of their networks is increasingly critical to business success. Over the years, networks have grown larger and more complex. More users and devices are connected than ever before. In addition, there are increased demands upon networks. Industry reports show bandwidth usage has been growing at a rapid rate, and experts expect bandwidth usage to increase at an even faster rate due to developments such as SDN, public and private cloud, and gigabit Ethernet. Larger networks with greater traffic flowing through them have also led to increased security concerns for IT departments. While the factors that affect the performance of networks will change, one thing will not, and that is the importance of network performance monitoring. Most IT teams hear statements such as “The network is really slow,” “I can’t access that on the network,” or “That application just won’t work on our network – don’t even bother” multiple times a week. These statements are all signs of a poor performing network. While many employees accept poor performance as par for the course, network performance optimization is becoming more and more critical to the success of an organization. If employees or end users at your organization claim that the speed of your network is affecting their ability to get their work done, your network is likely having a negative impact on productivity. This isn’t just an anecdote – there’s hard evidence to back up this claim. A 2016 study carried out in Australia and New Zealand showed that network outages cause a productivity loss of over 50 hours per year. The three applications that had the biggest impact on network performance were email, voice and video communication tools (UC and VoIP), as well as office productivity applications. These are troubling results especially considering how offices around the world rely on these applications to get basic work tasks completed each day. If you don’t invest in network monitoring and diagnostics solutions that are informed by relevant metrics, you may miss out on valuable business opportunities. It can be hard to conceptualize just how much a lost opportunity can cost because losses like this are not always easily quantified. However, when enough of those losses start to add up, the problem becomes very clear. Suppose your customer-facing website is slow because of poor network performance. Potential customers lose patience with the site and decide not to buy your products or services. Or, perhaps you’re looking to move into a different market. If your network can’t handle the demands, such a shift would place on it, your efforts will be in vain. Network monitoring tools that measure key performance indicators can help you set performance baselines so anytime network performance dips below a normal range, your IT team receives an alert and can quickly employ network troubleshooting strategies to quickly resolve the problem. Don’t let poor management cost your business money. Implementing the right network performance monitoring tools to help you identify problems before they spin out of control. Find the right solution vendor by researching the cost and benefit of several different solutions. If this seems daunting, consider the most important assets your company possesses and what is vital to the day-to-day functioning of your business. Networks are a vital resource to the enterprise because they transmit crucial information which enables us to communicate, collaborate, and accomplish tasks. For many companies, however, poor network performance is the norm. Management isn’t always treated as a priority and without the right performance management tools, your organization could be risking it all. Why are Businesses Concerned About the Performance of Their Networks? Poor network performance management or a lack of network management solutions are a source of frustration at many companies. Without a network that operates at a reasonable speed, employees can’t send documents, use mission-critical applications, or even get general tasks completed. However, despite how essential networks are, many companies simply refuse to properly invest in network management solutions. While it may seem mind-boggling that something so important would be swept under the rug, there’s always a reason why companies aren’t willing to devote the time, energy, and money to improve the performance and management of their networks. Executives often claim it’s too expensive or that the rest of the c-suite isn’t interested in fixing the problem. These excuses are harmful in the long run as there are serious and costly consequences to neglecting factors that may be hindering the performance of your network. How Does Poor Network Performance Hurt Enterprises? Although business leaders often think they’re saving money by not investing in the proper network management solutions or network performance monitoring tools, the truth is they’re ultimately hurting themselves. A poor performing network leads to low productivity, employee disengagement, and decreased revenues. Employees don’t want to come to work if the network hinders their ability to get work done, and if the situation persists for long enough, good employees may end up finding a new place to work. When you invest in network management solutions and monitoring solutions, you’re investing in your company’s future. Additionally, you’re committing to improving and maintaining employee morale, which helps boost productivity, and in turn, leads to higher profits. It’s not too late to improve your network performance. Learn about our industry-leading network management solutions today! 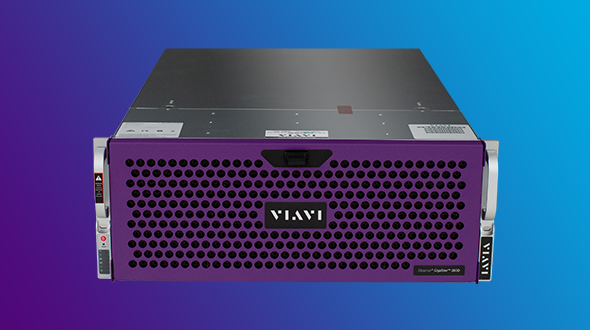 Continue your Network Performance education with VIAVI! Optimize and monitor the performance of your network. Should you be measuring network performance? Is the IT Help Desk Model Broken? 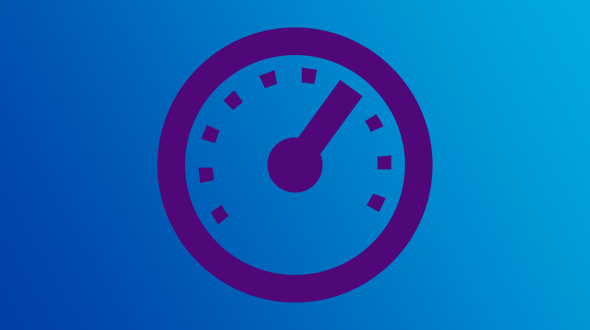 Get comprehensive insight into network, storage, applications, and infrastructure with network performance monitoring and diagnostics.